Ingredients: Crystalline fructose, maltodextrin, magnesium bis-glycinate†, citric acid, taurine, malic acid, dipotassium phosphate, calcium citrate, sodium chloride, natural lemon lime flavor, ascorbic acid, d-alpha tocopheryl acetate, D-calcium pantothenate, L-carnosine, niacinamide, pyridoxine HCI, riboflavin, chromium citrate, and thiamin mononitrate. 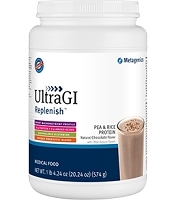 Directions: As a dietary supplement to help maintain adequate hydration, thoroughly mix one heaping scoop (35 grams) with 16 fluid ounces of water. Take on an empty stomach. This product is non-GMO, gluten free and vegetarian. Caution: Keep out of the reach of children. 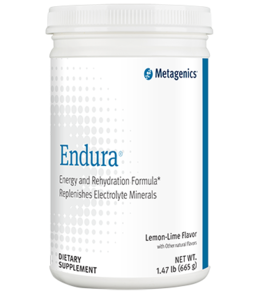 †Our proprietary fully reacted magnesium amino acid chelate..
Endura® contains no artificial sweeteners. All information on this site is for informational purposes and is not a substitute for your physician or other medical professional. Do not use the information contained on this website for diagnosing or treating a health problem or disease, or prescribing any medication. If you have or think you have a medical problem, immediately contact your health care provider. 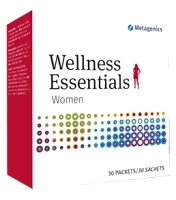 Information on this site has not been evaluated by the Food & Drug Administration and is not intended to diagnose, treat, cure or prevent any disease. Copyright Supplement Resource. All Rights Reserved. eCommerce Software by 3dcart.